Beer Pairings: NHL Thanksgiving Showdown Edition Part 2: Boston – Now Beer This! A tall order, you might say. I agree, so as with any good list, there are a few stipulations. A few Thanksgiving Eves’ ago, I saw the Pixies perform Doolittle in its entirety in honor of its 20th anniversary. That was one of my most memorable concerts, so I thought it was fitting to add to this list. Plus, slicing up eyeballs is something that could potentially happen during a hockey game, right? A fun fact, some of the recording and production was done in Connecticut, at Carriage House Studios in Stamford. This year, I feel like the Bruins have been escaping their certain fate fairly often and winning with a late-in-the-period goal or at least tying the game up for OT. At a Burma show, this song immediately gets people moving, regardless if it’s played at the end of the show or mid-way through the set. Hearing it once will get it stuck in my head for at least a week, but that is definitely not a bad thing. I would really like to hear something from Street Dogs, formed by Mike McColgan, the original lead singer of the Dropkick Murphys (who definitely get plenty of airplay at hockey games, albeit one particular song). Especially at the TD Garden! So Jonathan Richman is technically from Natick, but I’m keeping this song on the list anyway. This is just a cool song, and would work well during a mid-period lull when nobody is really scoring. Or during the third period when you can’t make any more beer purchases and you need something happy. “Roadrunner” can be all of these things. Also, the video above is very cool, despite the fact that it is not an accurate depiction of the traffic I will undoubtedly be sitting in before or after a Bruins game. How could I not include the quintessential Boston hockey band? Plus Steve Albini produced one of their albums (Unconsciousness) and I will never NOT take an opportunity to bring him up when possible. 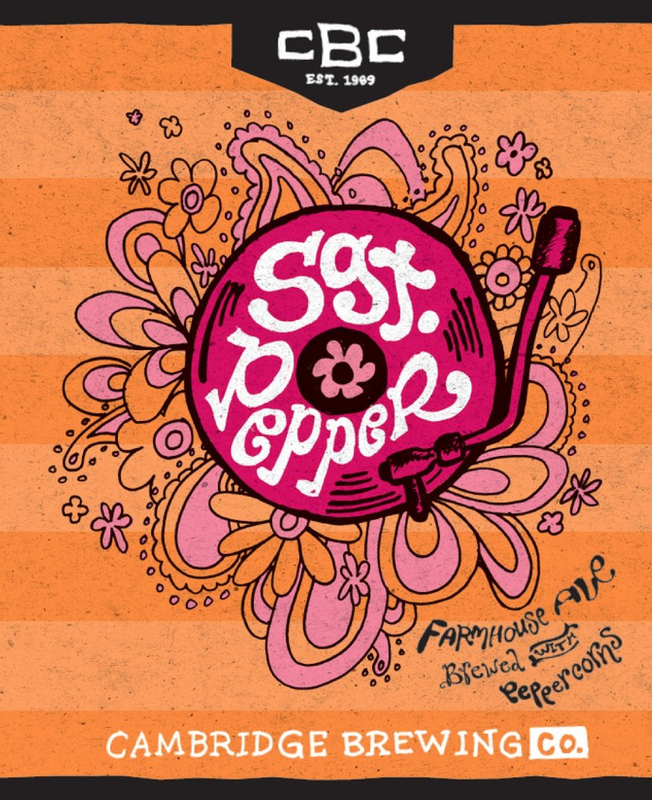 Much like having a Boston hockey list without Slapshot, it would be wrong if I did not include an offering from the Boston brewing kings at the Boston Beer Company. 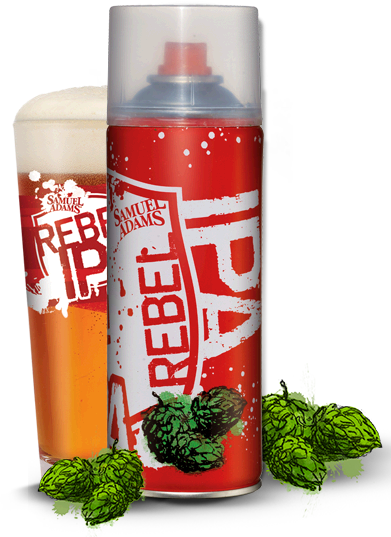 The Rebel IPA is a New England version of a West Coast IPA, and it is awesome. and totally accessible. I was surprised to learn that this one is only 45 IBUs, which backs up the fact of how drinkable it is. To all the people who think raspberries don’t belong in beer. Harpoon is one of the first craft breweries I ever became familiar with. While I’ve branched out in terms of the beers I like, the UFO R.A.Z. is still a good one. In addition to a fruity beer, I’m also including a cider on this list. Downeast Cider House makes some of the best hard cider I’ve ever had. The Cranberry Blend is fantastic for Thanksgiving, or any time of year. The tartness contrasts well with the sweetness of the apples, and the fact that it is unfiltered gives this one a great body. Jacks Abby is in Framingham, not Boston, but I discovered their brewery after going to a Bruins game so I believe it counts. I love that they only brew lagers, and they revolutionize what’s possible with that yeast strain. Hoponious Union is higher on the IBU scale than the Rebel IPA at 65, but the tropical flavors from the hops balance it out with a touch of sweetness. So we all know who wins in the hockey brawl, but which city wins when it comes to beer and music? Hard to say. Personally, I’ve spent more time in New York City and certainly made more memories there, but there’s so many things I love about Boston, despite the fact that where I live I can’t even get NESN anymore. Say what you will about the Nutmeg State, but I’m happy I can live in a state where I don’t have to pick what side I like better.